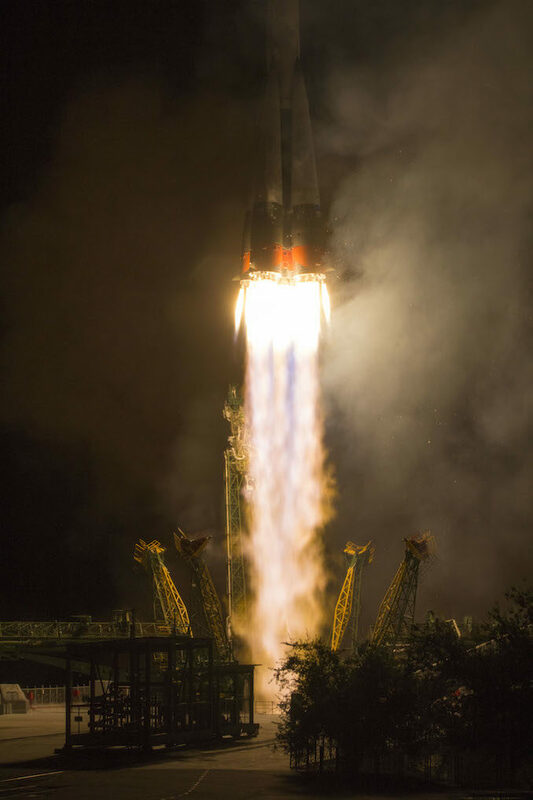 Russia’s Progress MS-09 cargo craft made a 3-hour, 40-minute trip from a launch pad in Kazakhstan to the International Space Station on Monday, setting a record for the quickest journey to the orbiting research laboratory. 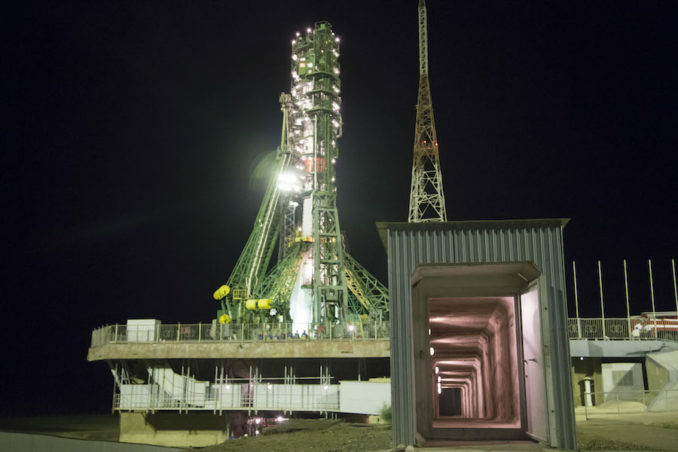 The achievement could set the stage for less-than-four-hour rendezvous profiles for future station crews riding on Soyuz capsules. 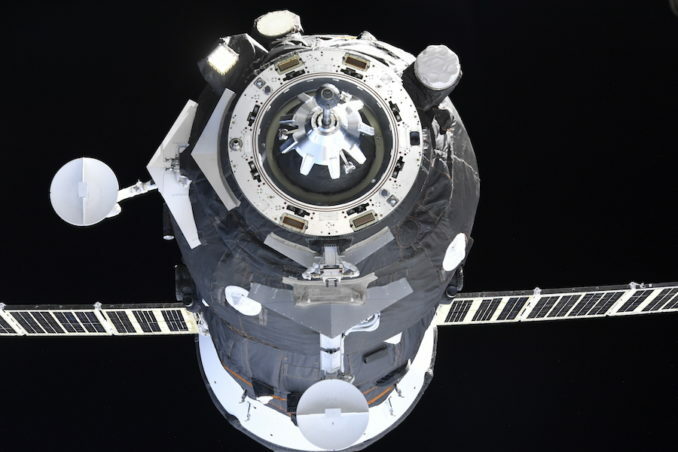 Russian engineers wanted to first test the approach with the automated Progress cargo spacecraft. 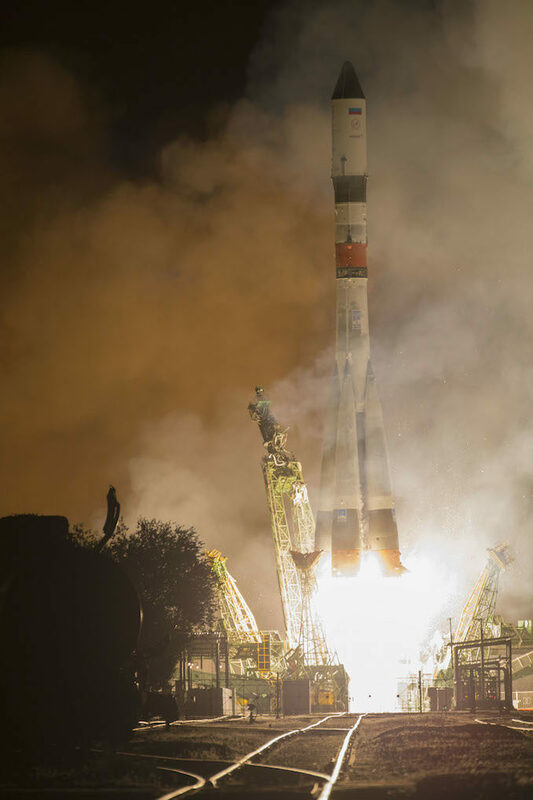 The Progress MS-09 supply ship, loaded with nearly three tons of cargo, fuel and water, lifted off aboard a Soyuz-2.1a rocket at 2151:34 GMT (5:51:34 p.m. EDT) Monday from the Complex 31 launch pad at the Baikonur Cosmodrome in Kazakhstan. 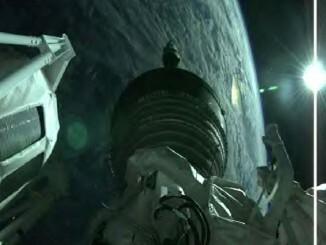 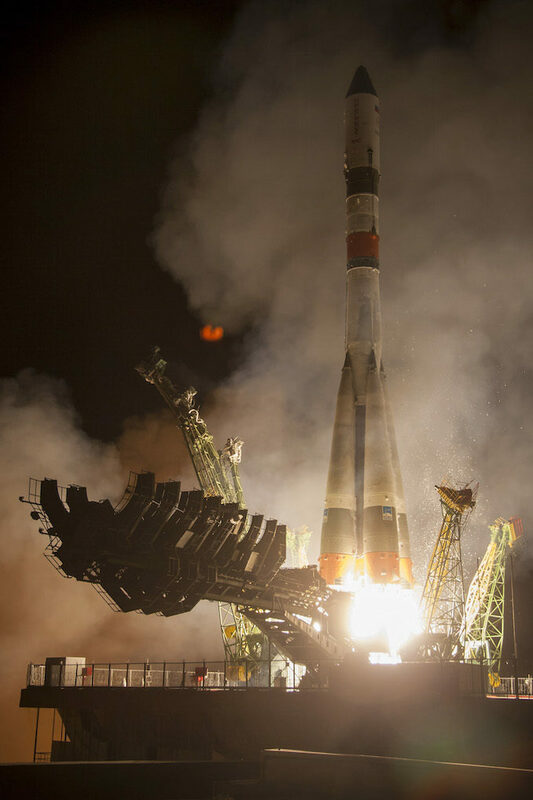 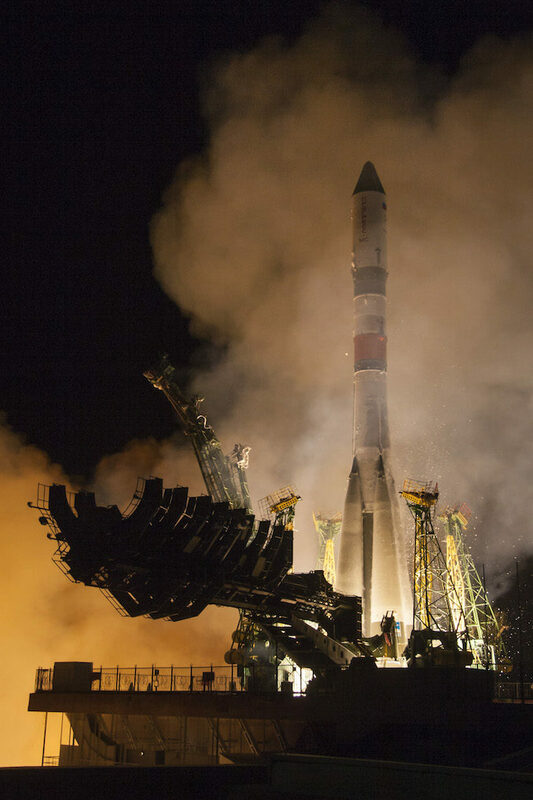 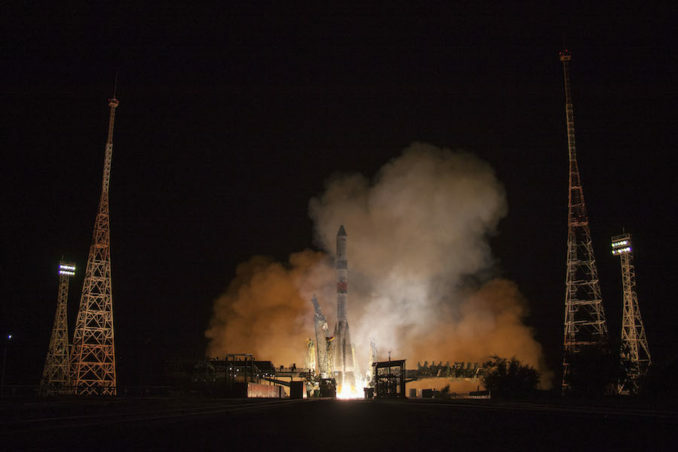 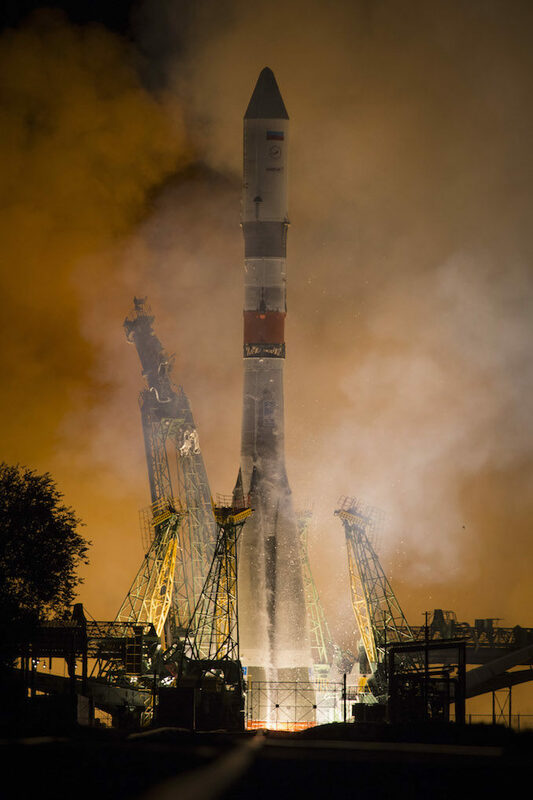 The Soyuz launcher released the Progress spacecraft in orbit less than nine minutes later. 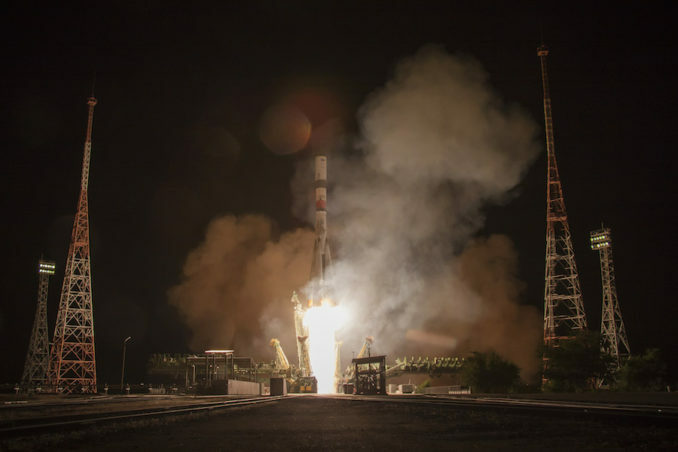 After unfurling its solar arrays and navigation antennas, the Progress kicked off a series of thruster firings to match its orbit with that of the International Space Station, gliding to a radar-guided link-up with the station’s Pirs docking compartment at 0131 GMT Tuesday (9:31 p.m. EDT Monday). 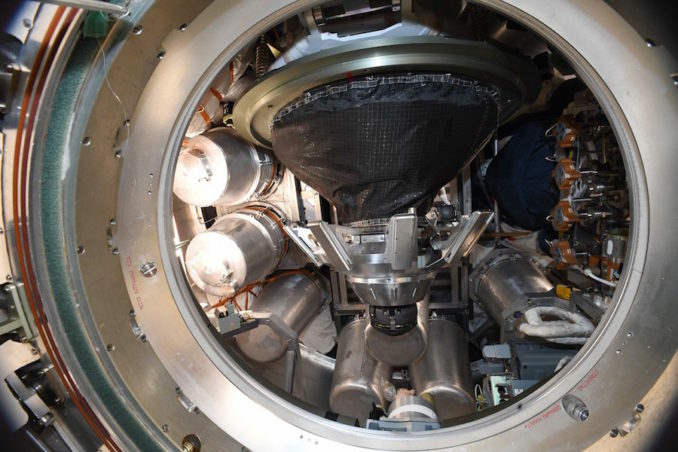 Cosmonauts Oleg Artemyev and Sergey Prokopyev opened hatches to the Progress supply carrier to begin unpacking the cargo inside its pressurized cabin. 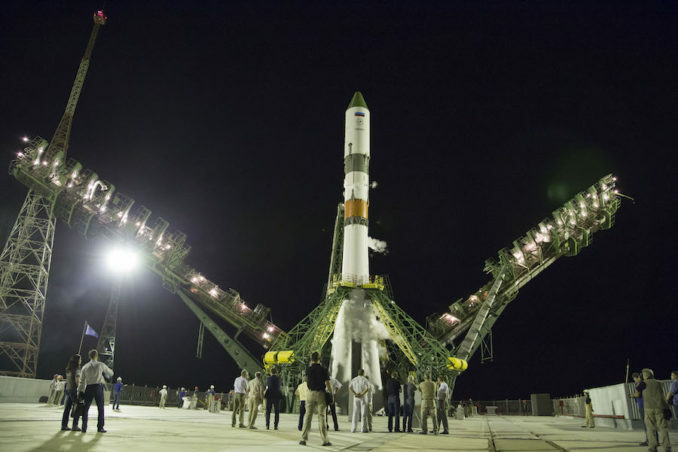 Fuel, water and fresh air supplies delivered by the Progress will be transferred into the station’s own tanks. 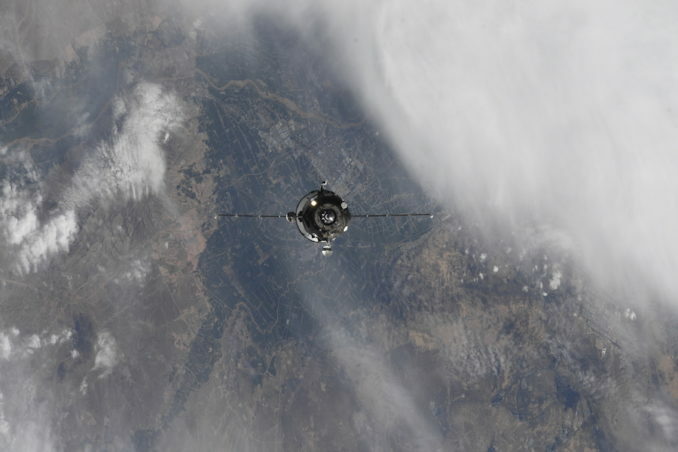 Here’s a view of the docking shared by Artemyev on his Twitter account. 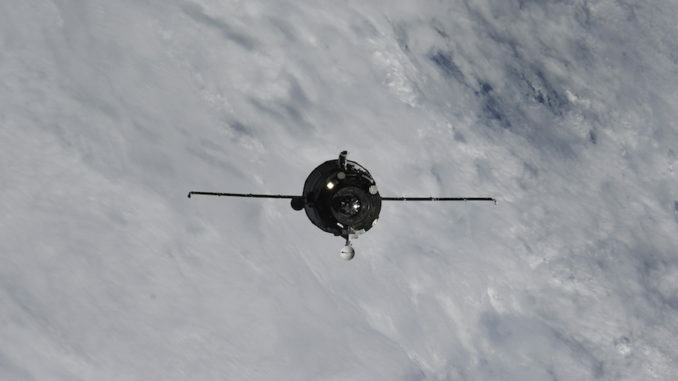 The Progress spacecraft is scheduled to remain at the station until January, when it will undock and burn up in Earth’s atmosphere to dispose of trash. 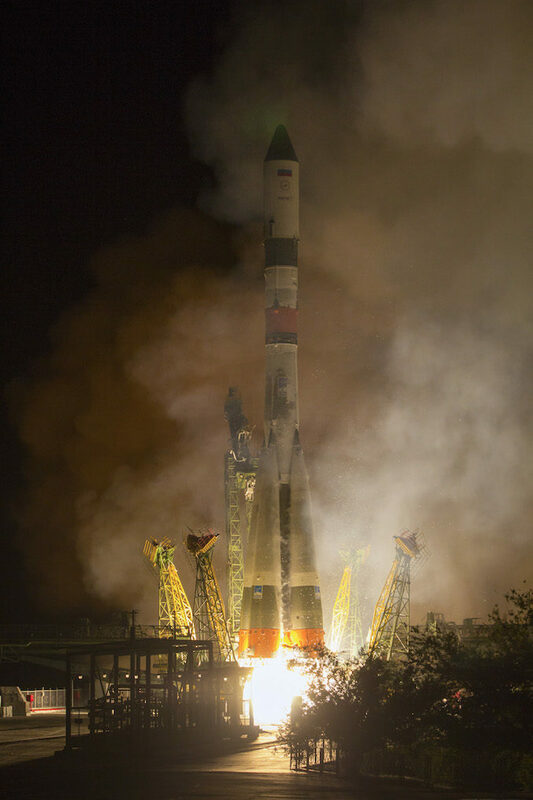 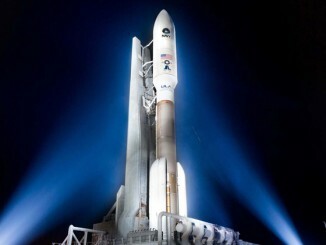 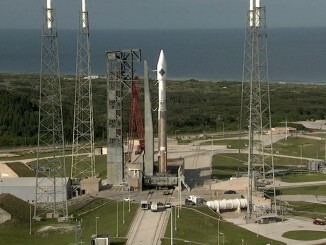 Read our full story on Monday’s cargo delivery for details on the mission. 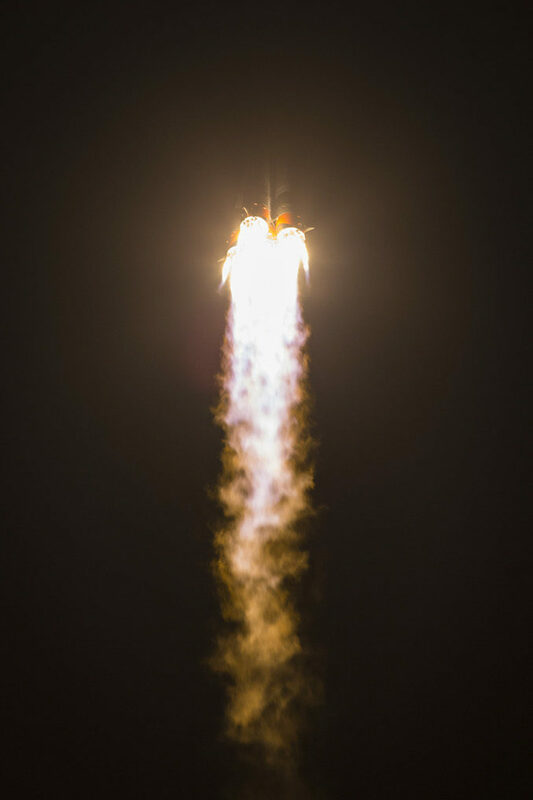 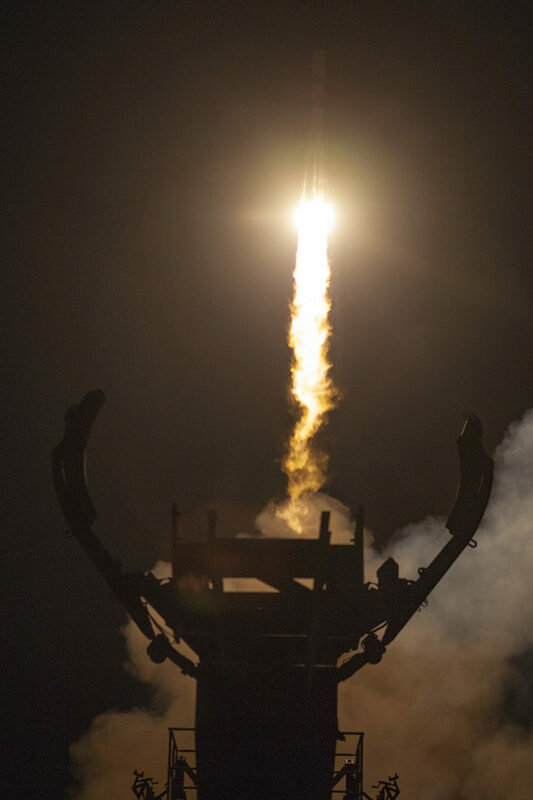 More photos of the launch and docking are posted below, plus two pictures shared by Artemyev after hatch opening.